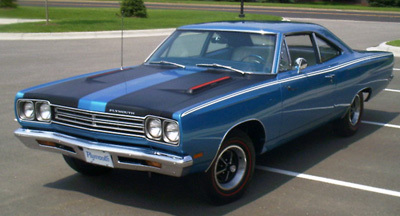 1969 Plymouth Roadrunner 60,000 Original miles B5 blue 383 - 4 bbl. Automatic transmission Air-grabber Magnum wheels with red-line tires. 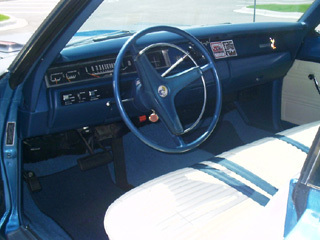 Totally original White - H2c interior - only the carpeting has been replaced Numbers matching - the engine and transmission have never been taken apart Has not been in the rain for 21 years Has not been washed with water in the past 16 years - driven only on the nicest days, then dusted off and covered back up in the garage. 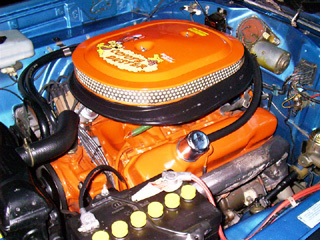 When I was 16 my brother bough a brand new '69 runner. I had a blast driving it until he had too many moving violations and had to sell the car because he went on high-risk insurance. I vowed some day I would get my own runner. I found this one on the internet in New York, flew out there on a Saturday, loved the car and had it shipped home. 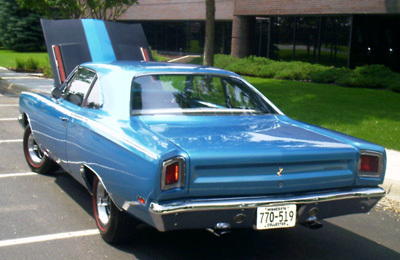 At my second all Mopar show this past spring, I took first place out of all 68-69 Plymouth B-bodies at Mopars in the Park 2002 in Shakopee, Minnesota.